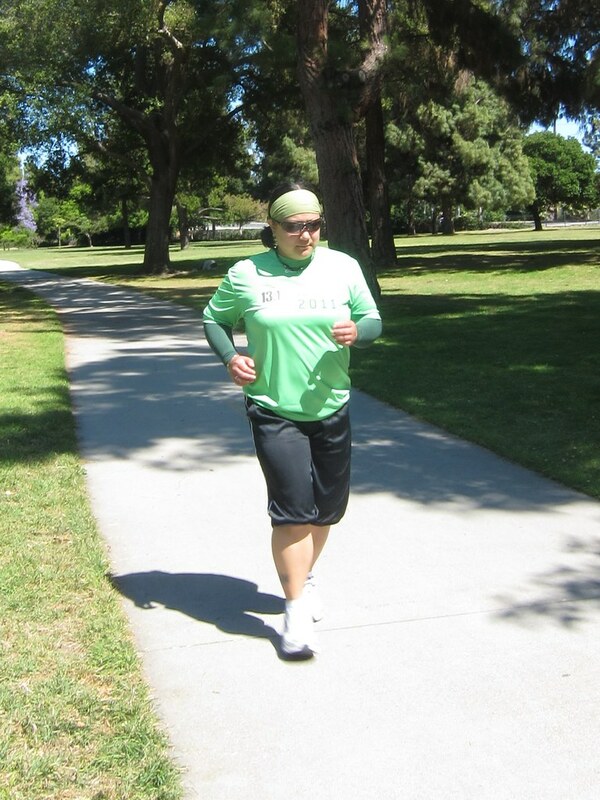 The Green Girl was thrilled to receive a pair of green Zensah Arm Sleeves from Robert from RunJunk.com. 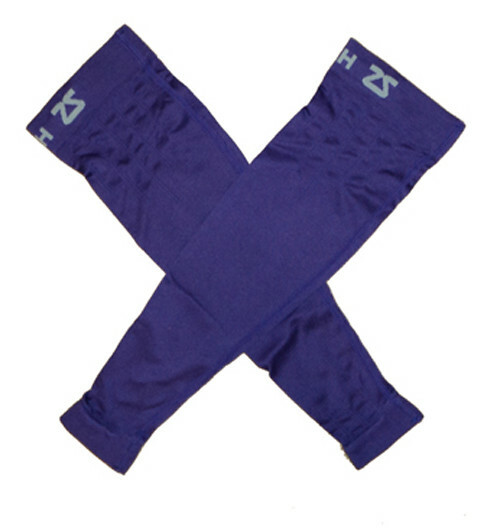 The Zensah Compression Arm Sleeves have a second-skin feel which makes them the most comfortable compression arm sleeves out there. 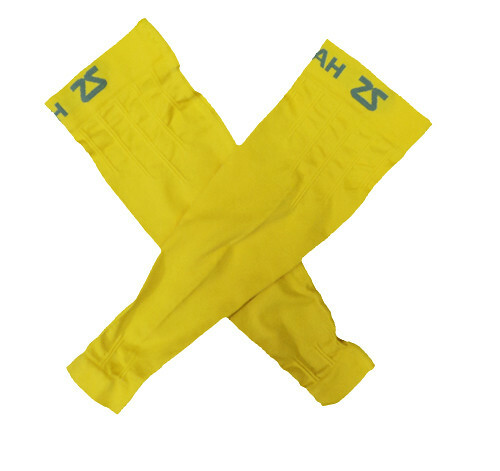 They are made with a seamless design and ergonomic fit which increases circulation for maximum performance. 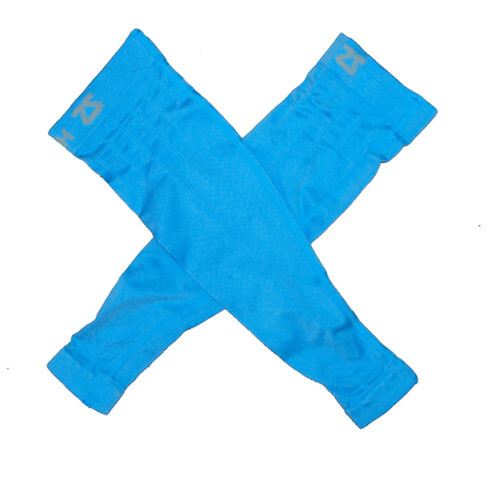 Zensah has created the best compression arm sleeves that can be worn as running, basketball, baseball, softball, cycling, triathlon, and football arm sleeves. This was my first experience with compression so I wasn't sure what to expect. I wore them the first time on a run after work. I was impressed by how soft the material was. I wasn't exactly sure how high they were supposed to go so I yanked them up really high and they really irritated me as I was running. I finally stopped and pulled them so they were just above my elbows. They were suddenly really comfortable once the tops of the sleeves stopped rolling down my upper arms. They kept me surprisingly warm - I found I was able to run without a jacket with the sleeves on. I liked the idea of having more sun protection on my arms while I'm out riding Lexa. I really liked how they felt when I was cycling. The support felt good on my arms and my forearms actually felt less tired at the end of my ride. In addition to the Zensah products, RunJunk.com also carries a great selection of nutrition and supplies for endurance athletes. They offer free shipping on all orders over $50. If you would like to get 10% off your RunJunk.com purchase, simply use the discount code 'GREENGIRL' when you place your RunJunk.com order. I'd love to try a pair of these in green. I love the idea of not having to wear a jacket. I always start very cold and end up running with a jacket tied around my waist. I've never run with any compression wear and don't know if I will soon. I hate a jacket and usually just tough out the cold the first few minutes until I warm up. I have some Nike sleeves but they aren't compression. I think.? The compression ones sound interesting. Might be good for when I cycle or run long distances. Good review! I love my compression socks, and I love arm sleeves for warmth when racing in cooler temps, but I'll admit I've never seen the point in compression arm sleeves for runners. But after hard, long distance races my biceps are always sore, so maybe there's something to it. 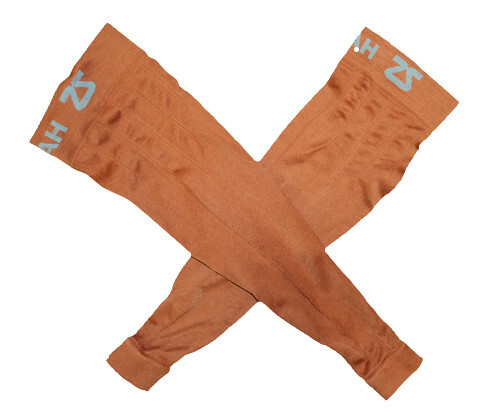 I've been curious about the arm sleeves, I love compression socks. I like the idea of the extra protection from the sun! Always wondered what they would feel like. Glad they could get you a green pair!